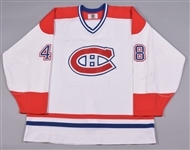 A third round draft choice in 1995, Miloslav Guren appeared in the Czech, Russian, Italian and French leagues, with just 36 NHL games played, all with Montreal and spread over a pair of seasons. 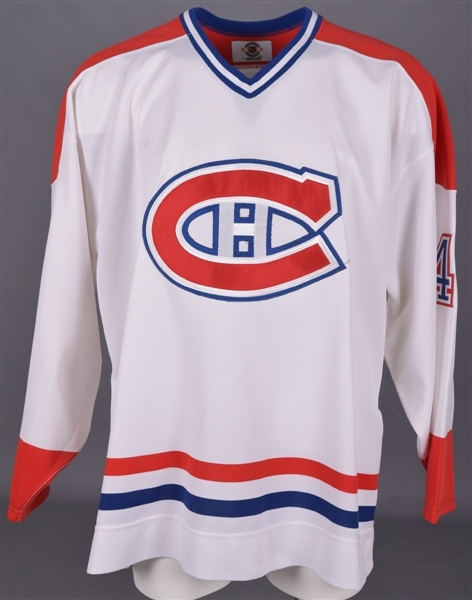 We have a Montreal Canadiens jersey from the 1998-99 season, Guren’s first in the NHL, with 12 games played during his rookie campaign. 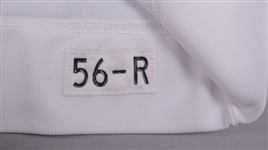 With evidence visible of a former nameplate, a Center-Ice label from Starter graces the collar, with a “56-R” size swatch over the inside hem. Styled with the most famous team crest in hockey, “48” appears over the sleeves and verso in tri-colour tackle twill, with “Guren” across the affixed nameplate in single blue twill. A scuff mark with a pair of small resulting holes is visible across the lower front, with a few dark marks over the right sleeve. There is also light pilling in spots. A team LOA will be included, signed on behalf of the Canadiens by Rejean Houle.